Francis Soule, a 75 year old and a disabled Vietnam veteran from Springfield has won the largest amount of his career as playing poker. He took home an amount of $550K, while playing poker at Foxwood’s Rainmaker Casino. 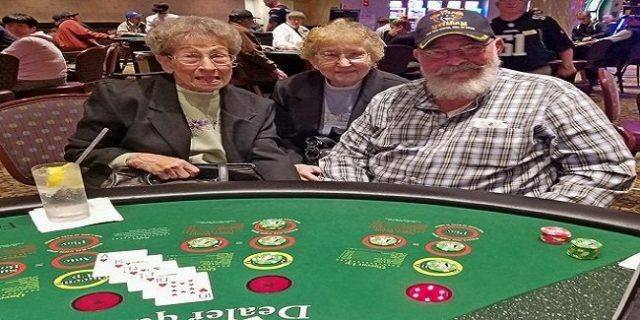 The man drew a Royal Flush and won one of the biggest jackpots of the casino’s 23 years history. Soule collected the jackpot of amount $549,950 at the casino playing crazy 4 poker room of Foxwood’s casino. It is known to be the second largest table game jackpot in the history of the casino, which simply is hugh. Soule was a lucky guy at the end and was very happy after taking down the largest jackpot of the casino. He said I was so very happy that I was shaking like a leaf, when I made my fifth card and that was queen of hearts. Soule was at the casino with his wife named Lorrie and a sister in law Barbara. He said “I am very happy at the moment and checking each and everything by contacting an accountant to make sure taxes from my winnings are properly fixed”. Soule loves to play poker and playing poker from last 50 years. He said that you will have to be active if you want to do well at any casino or poker table. Before six year, he made an amount of $4,900 playing at Foxwoods, but this time the destiny was at his side. He said, I love to visit the casino to every two or three weeks and Foxwoods is one of my favorite. Get latest online casino news and updates at top 10 casino reviews. If you live in the United States then you can play your favorite casino games at internet using top and legal online casino sites of USA, so just check it out.